QuickOne+ Single chamber SBR system, Plug & Play, odour free, with whisper quiet operation. 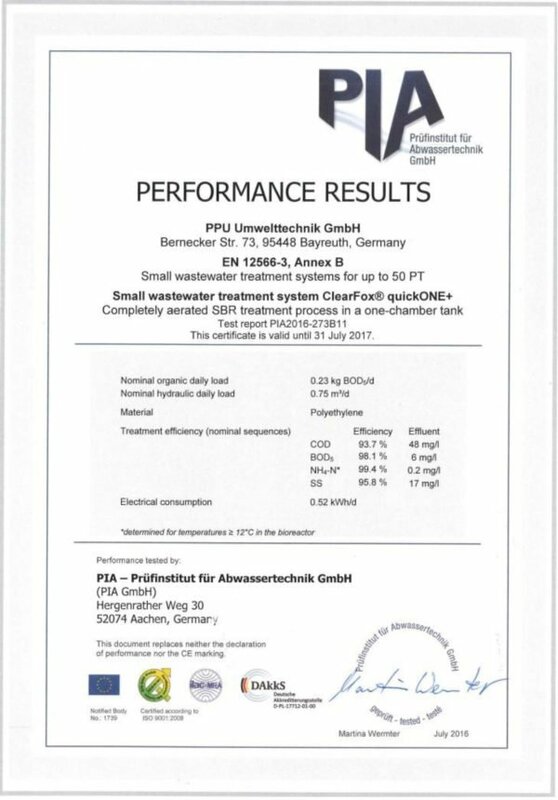 Highest effluent quality and lowest energy consumption on the market, as a new plant or to retrofit existing systems. 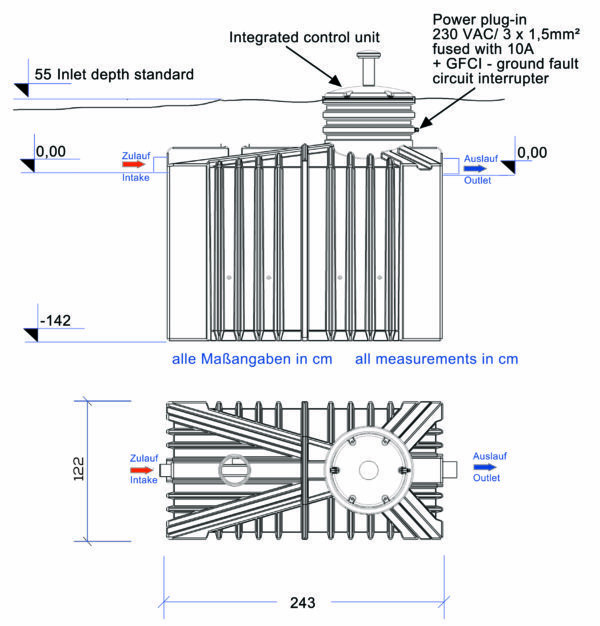 Retrofitting: Yes, as a kit system to install in your existing tank. Send your septic tank dimensions and we will configurate an retrofitting kit that suits in. Robust and easy to maintain. 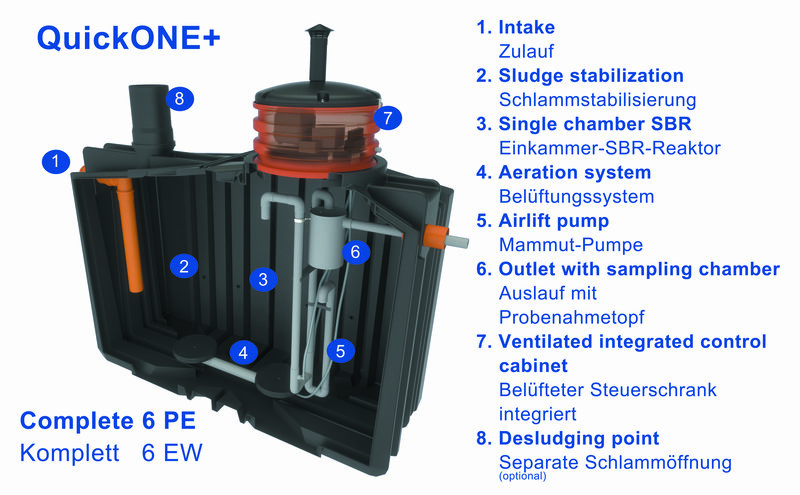 The Clearfox QuickOne+ is one of our most popular small scale sewage treatment systems and for good reason. It produces the best effluent quality on the market but with the lowest energy consumption of any sewage system available. 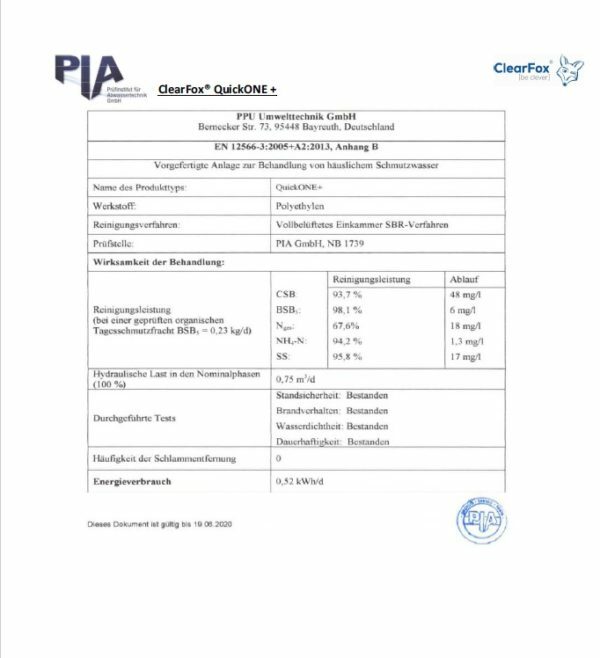 We can prove this with our CE declaration independent test certificate and EN12566-3 test. 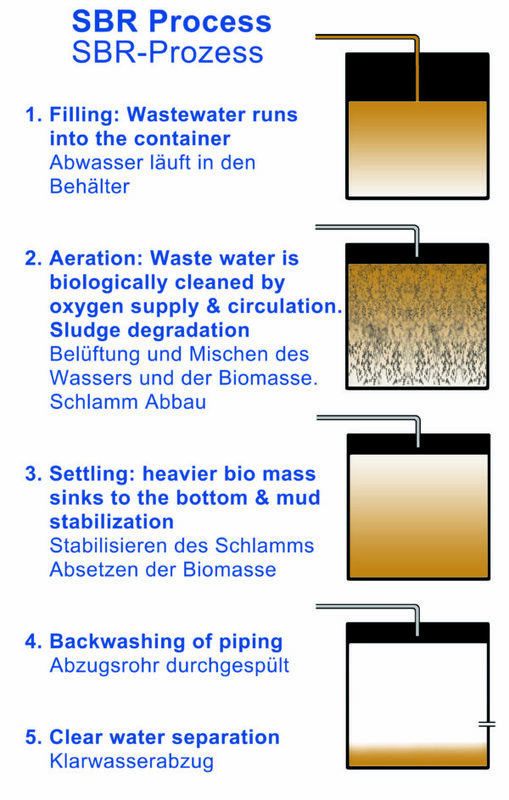 It meets local and national wastewater rules and regulations. The Clearfox QuickOne+ is a pre-assembled small wastewater treatment plant made of stainless steel reinforced Polyethylene. The control module and housing is integrated in the (ventilated) manhole shaft above the biology chamber. For installation, only the inlet, outlet and a power cable needs to be connected. The biology chamber and sampling point are easily accessed by the manhole. Maintenance is simple, as the are no moving parts and installation errors are avoided as it is plug & play.